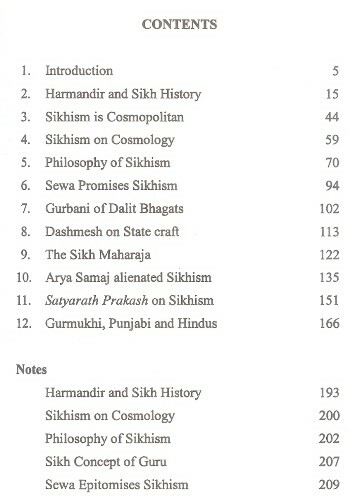 This study in Sikhism touches the whole gamut of Sikh philosophy, history, culture and politics. Almost all aspects, and all burning issues of Sikhism, even those considered anathema by most Sikh scholars, have been boldly commented upon within the limitations of space and scope of this volume. Some vital aspects of Sikh history, culture and philosophy usually ignored by most Sikh scholars due to lack of scholarly understanding and courage have also been brought out for deeper deliberation. It will help the Sikhs and others to know Sikhism more completely. It is, of course, presumed that the reader of this book would know the basics of Sikhism, its philosophy and history, because this book does not claim to begin with the basics. Some of the essays in this volume were written at specific occasions and some are improved and updated versions of articles previously published in reputable journals and books on Sikhism over the last two decades. I feel that ideas contained in these articles were exposed only to a very limited circle of select academicians amongst whom the university journals, books and seminars remain confined. Therefore, the facts and views in these articles deserve to be exposed to a larger circle of learned readers interested in the study of Sikhism. However, care has been taken to select and include essays on a wide variety of topics on Sikhism to throw light on almost all the significant aspects of this unique faith with global recognition. 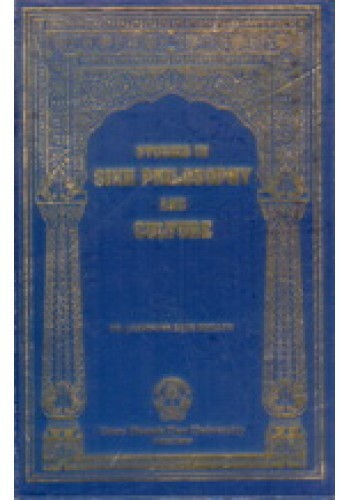 The book opens with the article on "Harmandir and Sikh History" which was written in 1988, during the 'Decade of Terror' in Punjab, when the Sikhs all over the world were enthusiastically celebrating the completion of four centuries of Golden Temple's construction and dedication as the chief religious centre of the Sikhs. Its original version had appeared as editorial in the Journal of Sikh Studies published biannually by our Department. Memories of the havoc, destruction, defilement and carnage caused by 'Blue Star Operation' and 'Operation Black Thunder' on the Harmandir Sahib by our army and paramilitary forces were still fresh in our minds then. The betrayal of this premier place of worship of the country, by almost everybody concerned, had awakened the memories of betrayal of the Sikh Gurus themselves often by their own kith and kin which had forced the consecutive Gurus to keep migrating from the first Sikh seminary built at Kartarpur to new seminaries built by themselves first up to the Harmandir built at Amritsar, and then on to Anandpur in the foothills of Shivalik range. The persistent internecine strife had resulted in the martyrdom of Guru Arjan Dev who had given the Sikhs, the Harmandir, their first pilgrimage centre, as well as their first scripture. Soon the Gurus and the Adi Granth, the original version of Sikh Scripture, had to say goodbye to this 'Temple of the Supreme' also - for good." The house of Sikh Gurus was thus forced to retire to the hills of the Shivalik range and for the next century, the Harmandir passed into the hands of their Mina relatives, who were keen contenders for the throne of guruship, and who had been instrumental in the martyrdom of the fifth Guru. After that, the Sikh Gurus did not return to Punjab, the land of their ancestors. It was left to their illustrious followers Banda Bahadur, Jassa Singh Ahluwalia, Jassa Singh Ramgarhia, Bhagel Singh Jhubal, Maharaja Ranjit Singh, Akali Phula Singh and Hari Singh Nalwa and thousands of their companions to establish the mainstream Sikhism firmly over the north western India and restore the Harmandir to the Sikh Panth. Introduction To 'Exploring Sikhism , Aspects Of Sikh Identity, Culture, And Thought' By W.H.Mcleo..